Two major pharmaceutical companies are teaming up to treat malignant pleural mesothelioma. 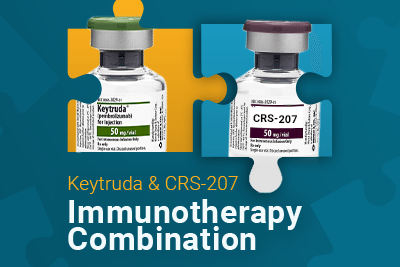 Aduro Biotech and Merck are collaborating on an upcoming clinical trial testing CRS-207 with Keytruda (pembrolizumab). In an ongoing CRS-207 trial, 94 percent of pleural mesothelioma patients achieved disease control. Keytruda reduced cancer size in 14 out of 25 pleural mesothelioma patients according to a recent trial report. Keytruda and CRS-207 are immunotherapy drugs being tested to treat mesothelioma. Immunotherapies work with the body’s immune system to fight cancer. 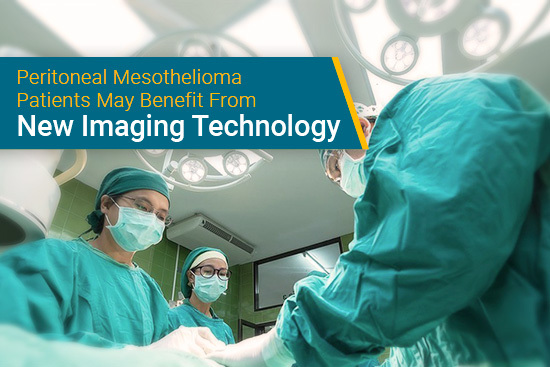 This trial will test whether using these treatments together can be a safe and effective treatment for pleural mesothelioma. This trial is for patients who have already been failed by one or two treatments and need a new option. There is currently no second- or third-line treatment for pleural mesothelioma. The only U.S. Food and Drug Administration (FDA) approved treatment is chemotherapy with Alimta and cisplatin used as a first-line treatment. 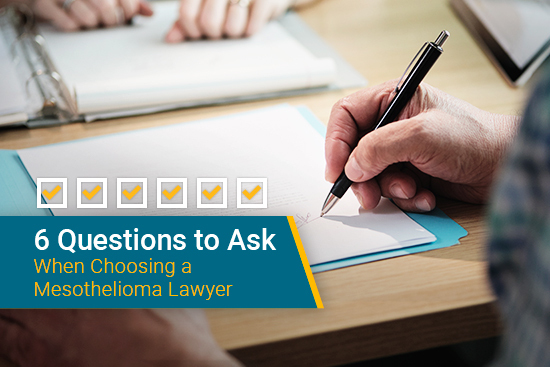 Most pleural mesothelioma patients are not candidates for surgical resection and need non-invasive treatment options like Keytruda and CRS-207. This trial is expected to launch in the first half of 2017 and will enroll about 35 patients. Keytruda is a monoclonal antibody. Keytruda is FDA approved for several cancers. It was recently approved for first-line treatment of metastatic nonsquamous non-small cell lung cancer (NSCLC) with chemotherapy. Keytruda’s approvals for treating lung cancers give researchers hope that Keytruda will eventually be approved for pleural mesothelioma treatment. T cells fight infections and diseases as a part of the immune system. T cells have a receptor on their surface called PD-1. Some cancer cells release PD-L1, a protein that is absorbed by the PD-1 receptor. PD-L1 can trick the T cell into ignoring cancer cells instead of attacking them. Keytruda blocks the PD-1 receptor, allowing the T cells to identify and attack the cancer cells. CRS-207 is a drug intended to induce an immune response. To create CRS-207 researchers start with a strain of Listeria and edit it so that it can no longer cause infection. Listeria is a bacteria that sometimes contaminates food. Researchers also change the Listeria so that it expresses mesothelin, an antigen that is often expressed by mesothelioma tumors. The immune system views CRS-207 as a threat. In this way, CRS-207 trains the immune system to target mesothelin. Once the immune system begins targeting mesothelin, it will recognize the cancer cells expressing it as a threat and attack them. Chemotherapy with Alimta and cisplatin is the standard treatment for mesothelioma but it doesn’t work for all patients. 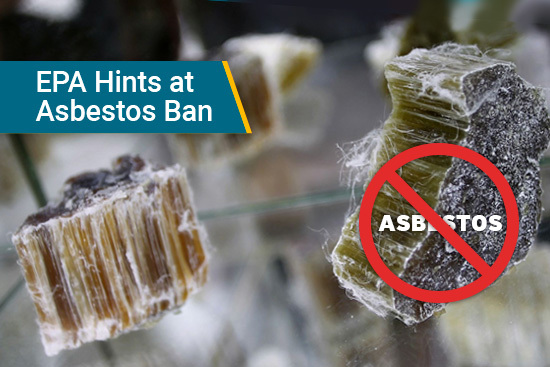 Other treatments for mesothelioma are not FDA approved yet. All treatments must go through clinical trials before they become a standard treatment. Patients can join clinical trials to access new and innovative treatments for mesothelioma. Different trials have different criteria for patients. Some, like the Keytruda and CRS-207 trial, are meant to find a second-line treatment for mesothelioma. These trials are great for patients whose previous treatment failed. Other trials are geared toward patients who aren’t eligible for surgery, have very advanced disease, or have a rare cell type. Use our clinical trials search tool to find recruiting trials that work for your specific condition. Aduro Biotech Announces Clinical Collaboration with Merck to Evaluate the Combination of Aduro’s CRS-207 with Merck’s KEYTRUDA® (Pembrolizumab) for the Treatment of Mesothelioma. Aduro Biotech. Retrieved from: http://investors.aduro.com/phoenix.zhtml?c=242043&p=irol-newsArticle&ID=2273583. Accessed: 5/22/17. FDA Approves Merck’s KEYTRUDA® (pembrolizumab) as First-Line Combination Therapy with Pemetrexed and Carboplatin for Patients with Metastatic Nonsquamous Non-Small Cell Lung Cancer (NSCLC), Irrespective of PD-L1 Expression. Merck. Retrieved from: http://www.mrknewsroom.com/news-release/prescription-medicine-news/fda-approves-mercks-keytruda-pembrolizumab-first-line-combin. Accessed: 5/23/17. How Keytruda Works With Your Immune System To Help Fight Cancer Cells. Keytruda.com. Retrieved from: https://www.keytruda.com/non-small-cell-lung-cancer/how-keytruda-works/. Accessed: 5/24/17. Pembrolizumab May Help Combat Mesothelioma. Oncology Nurse Advisor. Retrieved from: http://www.oncologynurseadvisor.com/lung-cancer/checkpoint-inhibitor-shows-antitumor-activity-in-mesothelioma/article/648001/. Accessed: 5/22/17. Merck, Aduro Expand Collaboration to Combine LADD Cancer Therapy with Keytruda. GEN: Genetic Engineering & Biotechnology News. Retrieved from: http://www.genengnews.com/gen-news-highlights/merck-aduro-expand-collaboration-to-combine-ladd-cancer-therapy-with-keytruda/81254364. Accessed: 5/22/17.